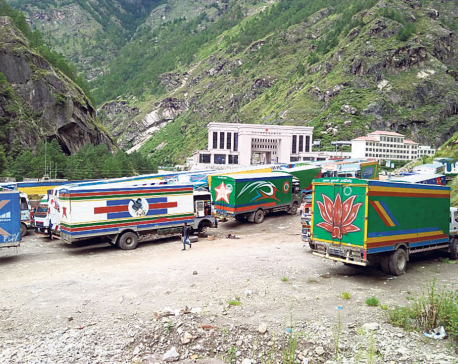 RASUWA, Sept 19: Rasuwagadhi Customs Point missed revenue target in the first and second month of Fiscal Year 2018/19 as bad roads took toll on imports and exports via Nepal's only trading point with Tibet Autonomous Region of China. According to officials of the customs point, the office mobilized only Rs 260 million and Rs 139 million in the first (mid-July to mid-August) and second (mid-August to mid-September) month of FY2018/19, against the garget of Rs 500 million and Rs 900 million, respectively. "Revenue collection figures look a bit better in the first month as there was no disturbance in vehicular movement. In the second month, however, the road to the customs point was operable for only a week. This affect revenue collection," Gopal Koirala, chief customs officer at Rasuwagadhi Customs Office, told Republica. He, however, said that the revenue lost in the first two months could be recouped in October-November if the road becomes operable. "It won't be difficult to achieve our target if vehicular movement returns to normalcy," he added. 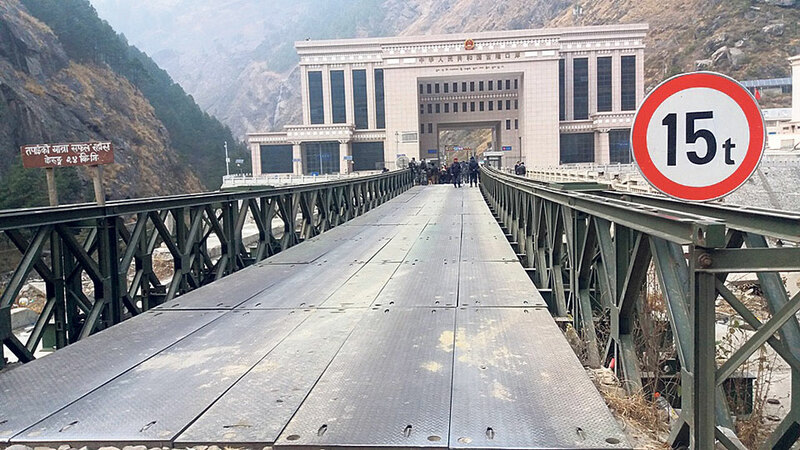 Nepal and China opened Rasuwagadhi border for bilateral trade in 2015 after Tatopani border in Sindhupalchowk was closed following the 2015 earthquakes. China declared Rasuwagadhi trade point as international border crossing on August 30, 2017. 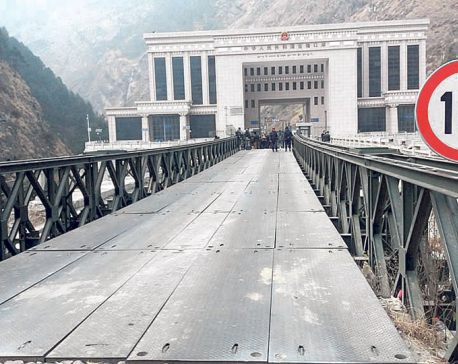 Following the decision, movement of goods and Chinese tourists through the border point is on the rise. Readymade garments, apples, footwear, rubber, plastic goods, handbags, computer parts and peripherals are Nepal's top imports from China via Rasuwagadhi. Similarly, woodcrafts, toothbrush, makeup stuff, noodles, pasta, juice, carpet, hair oil and hair cream, among others, are Nepal's top exports to China. The border point sees movement of about 250 containers every day. Chinese town of Kerung lies only 24 kilometers away from Rasuwagadhi.